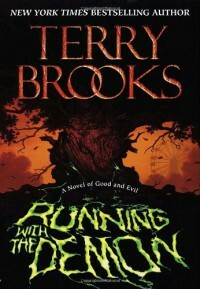 I decided to reread all the Terry Brooks books beginning with the list chosen according to Goodreads by Terry himself .Revisiting LInk I had read all these books before so the idea of starting over in the order the author picked was intriguing. This story I found to be slow and lacking the same thrill as the original Shannara series. The premise was good and your typical magic story. Small time girl with history of magic saves the world. Good vs Evil, blah blah blah. And I found I either out grew the story or just wasn't in the mood for small town hokum and how it played out. That hasn't deterred me from reading the rest of the books in the order presented. And hopefully the thrill I got reading the first time will happen again.